Q: What i am doing is a horizontal menu with submenus opening down vertically. The main menu and sub menu has a background image. These are rather large for a menu and when the sub menu expands i want it to stay below the main menu and not go upwards to cover the main menu when the browser window is too small. A: Yes, they will stay forcibly below the main menu. Q: Hi, I was wondering if there is a way to leave a main java swing menu bar item highlighted when in that section. For example if I clicked on "Contact Us" and when I am on the contact us page, the "Contact us" navigation would still be highlighted. I appreciate any help you might have, thanks! 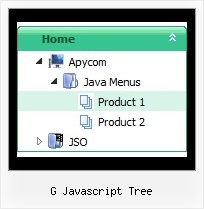 A: The java swing menu bar has only two states normal and mouseover. We'll try to add the pressed state in the future. itemInd - index of an java swing menu bar item, >=0.